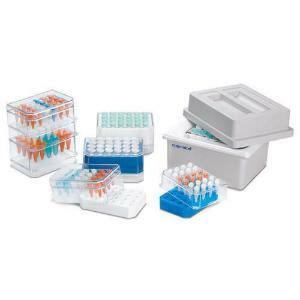 Starter sets are a complete system consisting of one 0°C (32°F) IsoPack cold pack, one –21°C (–5.8°F) IsoPack cold pack, one transparent IsoRack, and one IsoSafe insulated transport rack. IsoPack and IsoRack sets may also be purchased separately. The system can maintain 0°C (32°F) up to 6 hours and –21°C (–5.8°F) for 3 hours. 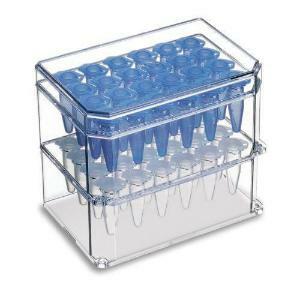 It utilizes a modular rack system numbered for easy sample storage and identification. 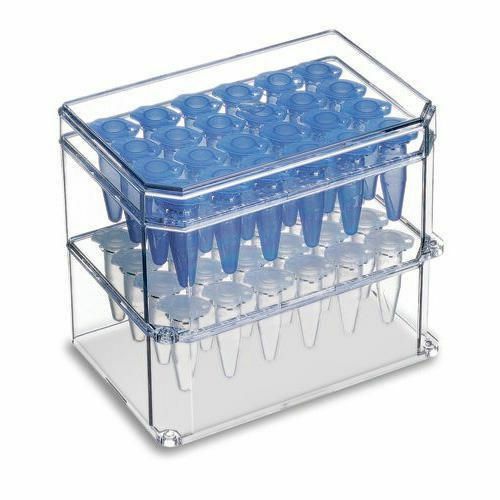 Each autoclavable IsoRack holds twenty-four 0.5mL or 1.5–2.0mL tubes, withstands temperatures down to –200°C (–328°F), floats in a water bath while thawing or incubating samples, and can be centrifuged in a microplate rotor.